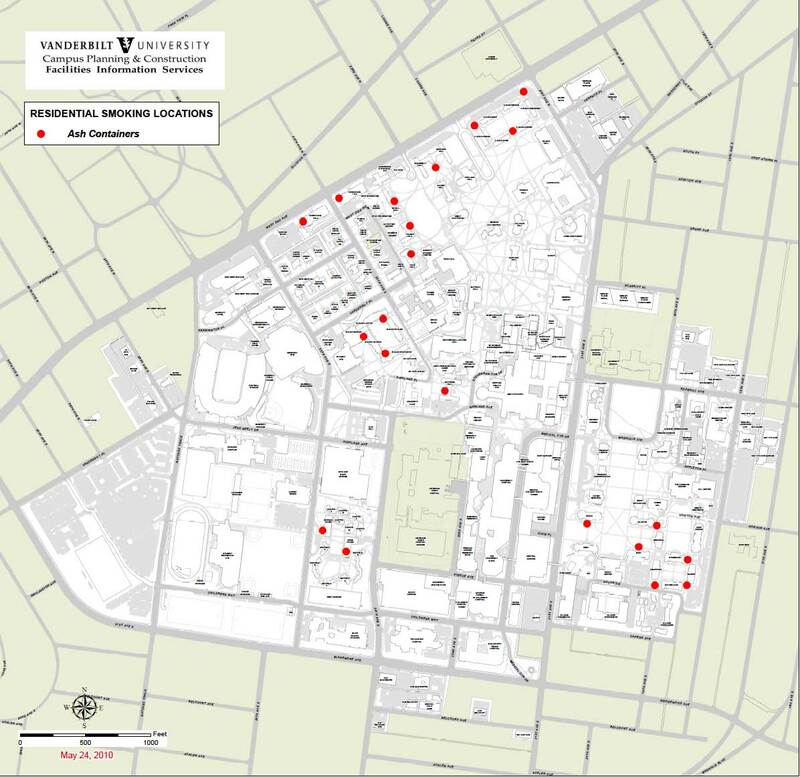 Vanderbilt University is a smoke-free campus. Smoking is prohibited in all buildings on campus, including University residence halls and Greek chapter houses, and on the grounds of the campus with the exception of designated outdoor smoking areas. 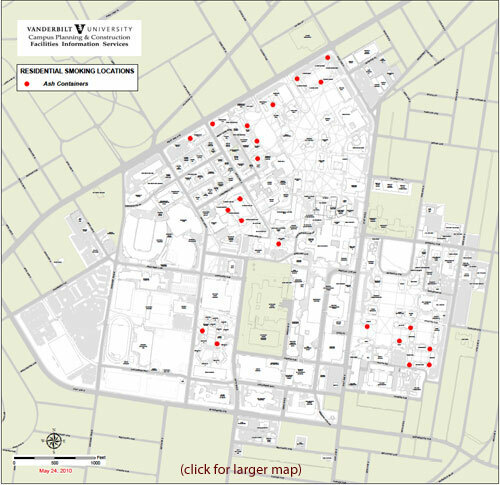 Locations of designated smoking areas for campus residents may be found on the map. Greek organizations may elect to designate smoking areas on their house grounds. Designated smoking areas will be marked with signs and include cigarette urns for disposal. Vanderbilt University is committed to providing a healthy, comfortable and productive environment and offers several resources for smoking cessation.